This entry was posted in Movies and tagged cinema, Elisabeth Moss, horror, Jordan Peele, Lupita Nyong'o, movie reviews, movies, thriller, unsettling, Winston Duke. Bookmark the permalink. Sounds interesting! Is this a true horror film or a slasher style kind of thing? Not so much a slasher (though there is blood), more horror to be sure. I wish trailers wouldn’t give away so much, especially when it’s so unnecessary. I didn’t even really realise how much it gave away until I saw the movie! I’m so glad I didn’t see it until afterwards. I HATE trailers that give away a lot. Definitely prefer teasers for that very reason. I am such a huge fan of this movie. Soooo much more than I ever expected (especially after a so-so opinion of Get Out). I’ve seen it twice and it’s pretty cool how different it plays a second time through. I’m interested to see how it’ll play a second time. Will be sure to give it a rewatch. Glad to hear you enjoyed this one so much! It will check it out on the teevee at some point. Dont forget The Dollmaker. It thinks that would be a good idea. It will check it out just now! This movie was definitely super hyped, same as Get Out, but still liked them both, though didn’t love either. There are good bits and there is also a lot of mess to be found in both, to be sure. Sorry to hear this one really didn’t work for you! Yeah I think that it definitely had some good moments. Like, I really dug the invasion itself, that was quite intense. And Lupita Nyong’o creeped me the hell out for sure. 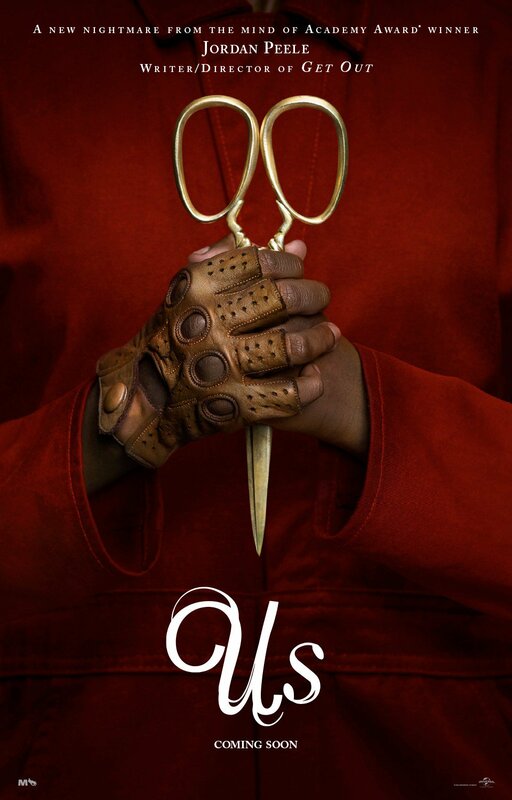 For me, more slop here than there was in Get Out but it’s cool Peele is making movies that are becoming hugely popular. It’s gone to show how talented he is, going from a sketch comedy show to a full-blown filmmaker. I particularly enjoyed when she opened her mouth to speak for the first time. shudders That sounded so unnatural. Oh, and another scene I liked was how the dancing scene just built up and played out. Yeah this was definitely a lot messier, I found Get Out to be more refined. I don’t think I’ve ever seen Peele’s stuff outside of these movies, if I’m being honest. Would have to have a look see.